Gregg – Thanks for posting your experience and sorry to hear that you were not successful. Next defense will be the time for you. Great write up. I am sure you will achieve next time. You are the man Gregg. You will nail it next time. Thank you for posting this write-up. 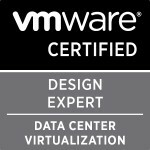 Let me know if/when you are ready to do another VCDX study group. Count me in. Great write up Greg. It’s a great achievement to be accepted to defend a design, so you’ve definitely made an important step forward. It’s validation that your design had a material chance of being successfully defended, even though there may be areas to improve for next time. One bit of advice I give during bootcamps and encourage candidates to do is listen very carefully to the questions that you are asked from the panel during all stages of the defence. They ask them for a very specific reason and in a specific way and there is always a strategy to it. If you can learn from the questions and ask yourself the same types of questions, then you can pick up on the areas where you were weak, and improve your design and chances of success. Every design has weak points, every design has areas that can improve, there is no such thing as a perfect design. It’s important to understand where you are weak and look critically at those areas for improvements. But the defence isn’t just about the design you’ve created, it’s about being prepared to be dropped into any organisation anywhere and being successful at producing a design for any type of customer. It’s really important to practice the design and troubleshooting scenarios as well as the design defence. You can go backwards as well as forwards during all stages of the defence process. Having your study group come up with weird and wacky realistic real life requirements, with perhaps some incomplete or inaccurate information, and some wacky yet realistic and real life architecture design troubleshooting scenario can help your chances of success. Especially with the mix of backgrounds. VCDX is not only a very deep certification but it is also a very broad enterprise architecture certification. Understanding the linkages, impacts, risks and assumptions across this broad range of things is a real challenge, especially when it’s not all technology, but people and process as well. Let alone to the depth that you are tested to during the defence. But as you’ve already discovered the journey is well worth the effort. I think the more you go through this journey the more you realise how much you don’t know as well. There is always more to learn. I think you definitely have what it takes to be successful. So take a well deserved break and pick it up after you recharge your batteries. 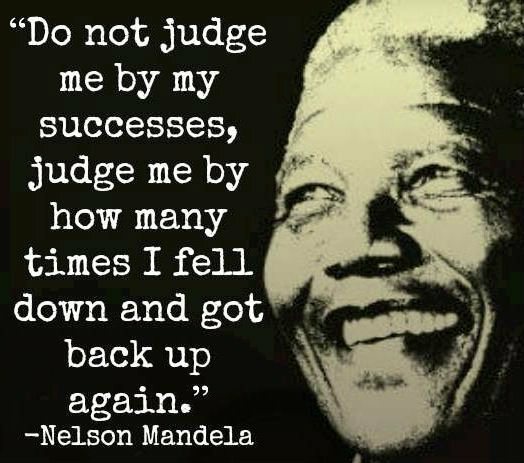 I wish you all the best for your next attempt. thanks for the advice Mike!! I’ll certainly look for more critical feedback around my design well before the submission deadline for my next defence and ensure I shore up any problem where possible and strengthen my knowledge where maybe i’m weak. The two scenarios are certainly something i plan to practice more for next time. Personally I know I made a silly mistake which I noticed I had made before the end of the design scenario but I think the damage was done by then and I should have challenged what was told to me more. for the troubleshooting I think i solved one of the problems but learning more about all the different places and things for each tier where problems may occur and what to look fr is something I’m planning to spend a fair amount of time trying to learn. Great article mate, shame you didn’t pass first time but you often learn more by failure than success. I’m going to write an article about how I’ve had that situation from a project point of view as I think it’s good to show the good, bad and ugly. Personally I’m just amazed you made enough time to learn and submit with a young family – I’m in a similar position and haven’t been able to, so good work! Success is just a combination of aptitude, attitude, and perseverance and you’ve got all three. HAHAHA yeah it certainly wasn’t simple with a small child who has only just turned one and is also the reason I’m not resubmitting this year as I now want to spend that time with the wife and little one. It really comes down to having a very supportive other half and also trying to cut out everything else that isn’t required as I barely watched tv or socialised for these past months and also for the daily webinars with Rene and Bobby we ran them as work finished for me and before i had to collect the wife from the train station. I think a VCDX experience itself is an achievement. I congratulate you on it. Very much pleased to read you experience. Like many others, I’m sure you will crack up next time. Hello Gregg, Could you update your link to my blog please? http://vcdx133.com/2014/04/24/vcdx-recipe-for-success/ Cheers, Rene. Done =0) Great work with the new blog! !